Susan Glick once said that her management style was one of sharing her enthusiasm, her spirit of creativity and inspiration by example: precepts, standards and the moral compass by which she conducted both her professional and personal lives. Susan Glick passed away suddenly and unexpectedly, on Tuesday, January 15th, in Chicago; an unimaginable and unsurmountable loss. liaison to three districts, overseeing regions in 10 cities across this country and in six foreign regions. As the key organizer and workshop and discussion leader of the annual Regional Directors Conference, she once explained that, as challenging as it was to manage this multi-faceted three-day meeting, she found this role her most rewarding, saying that “to share the vision of FGI with every region is a responsibility I take very seriously.” And without doubt, it was Susan’s conviction in the value, influence and importance of Fashion Group that has been instrumental in the growth and future of the organization. Susan also served as announcer and narrator of the annual Rising Star Luncheon and Awards ceremony and, when the role of stage manager, announcer and voice of authority at the annual Night of Stars celebration became available practically overnight, Susan stepped up and into that role with grace, style and without a moment’s hesitation. With a passion for fashion, realized at an early age, Susan’s eyes were opened to the excitement of retail when she secured a part-time job as a phone operator at Carson Pirie Scott; at that time, the shopping destination for Chicago’s chic and stylish. Using her considerable powers of persuasion, she then managed to talk herself into the job of secretary to the store’s fashion director, experience which led her to positions with Bonwit Teller and Saks Fifth Avenue. A woman of character, kindness, generosity and the ultimate in integrity, Susan was admired, respected, loved and venerated by all who knew her and whose lives she touched. 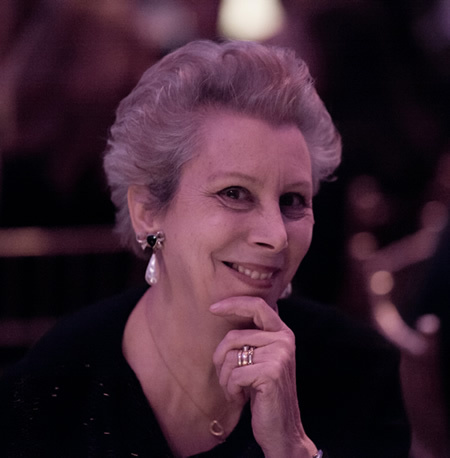 She leaves behind her husband, Larry Glick, her sons Eric Glick and Marc Glick; her colleagues at the Merchandise Mart, friends around the world and a Fashion Group membership whose loss is inconceivable.